Probably many of you wonder why we are so silent recent months and nothing new is posting on the blog. The reason is quite casual – we are overwhelmed with work! Starting from September something odd happens. Our OLinuXino customers went in crazy mode and we start getting almost twice more orders than usual. All who have been dealing with production know that to double capacity needs time. This is the reason for the delay with iCE40HX8K-EVB, A64-OLinuXino, TERES release – there is simple no free window on the SMT assembly machines and testers to may run them, the machines are busy with OLinuXino and SOM assembly. The small orders are shipping on time i.e. 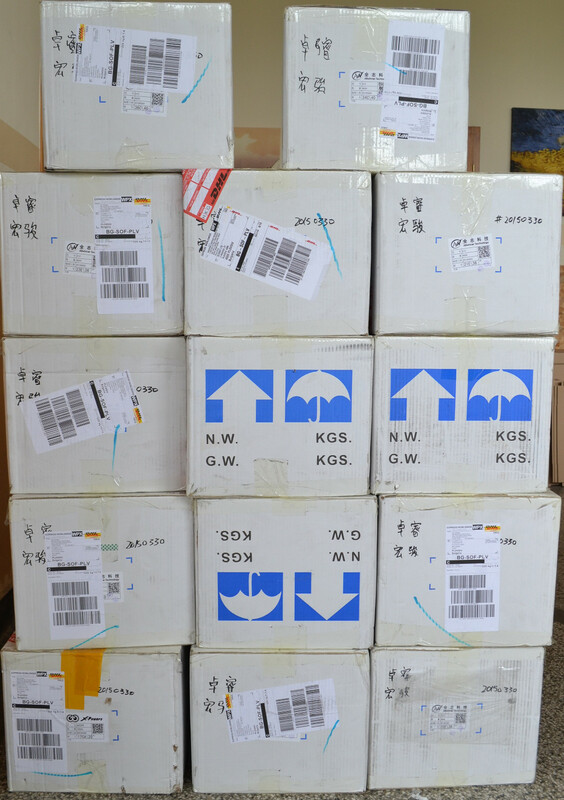 in 1-3 working days, but all bigger OLinuXino and SOM orders for 50+ boards are now shipped with a bit of delay as we have quite backlog for these boards. We apologize to all our established customers which do wonder why the orders which we usually shipped to them in 1 week before, now are shipped with delay of 3-4 weeks. 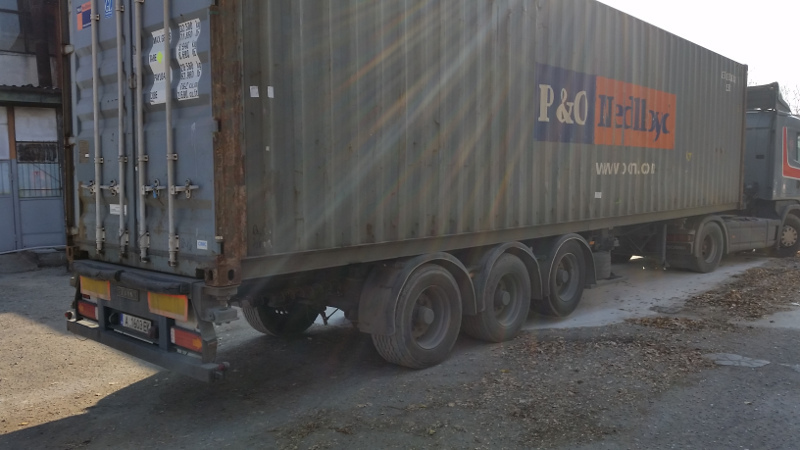 We assure you that we do everything humanly possible to ship all orders ASAP. To add little more crazyness the three new Samsung machines arrived two weeks ago. 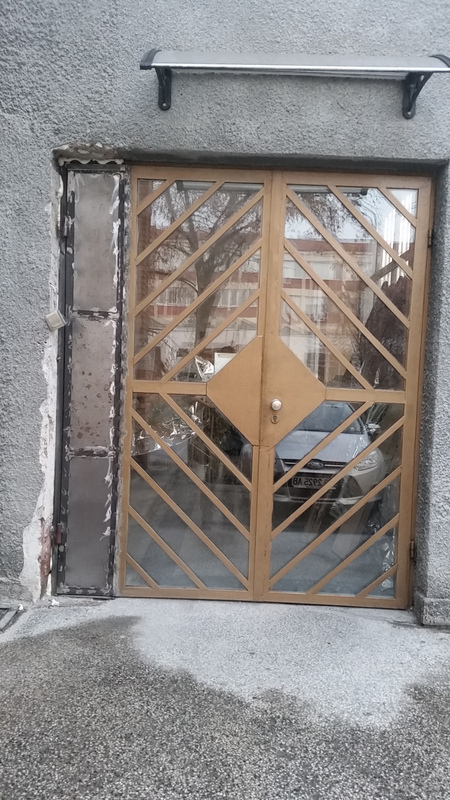 We wanted to build new space for them and working more than year on this, but the lazy and ignorant Bulgarian administration still didn’t issued us permit to start building, so we have to install them in the old building where we run out of space. 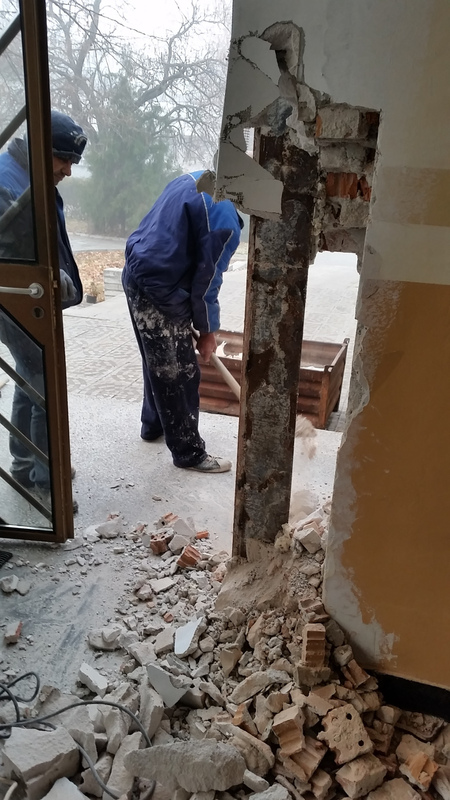 Immediately we start to break walls, extend doors, and other funny things so the big machines may enter the building. 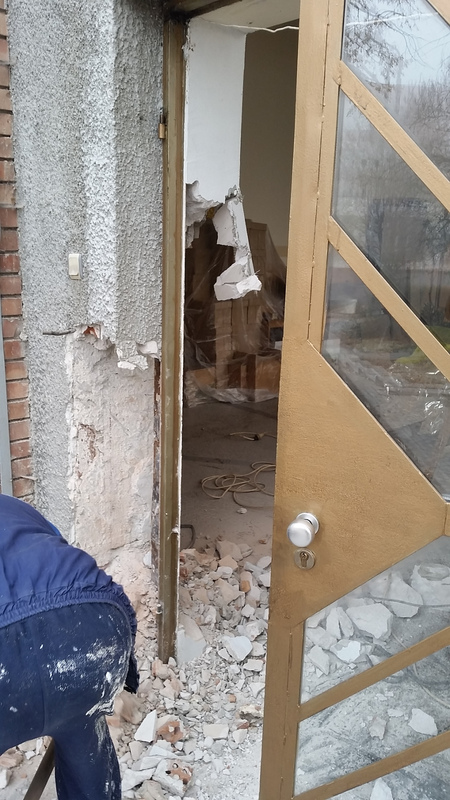 We did same 1 year ago when our first Samsung came, but shortsighted decided to rebuild the walls with intention the new machines to be installed in the new building, without taking into account how long and difficult the building permit is to get in Bulgaria. Now the three machines are installed and testing, but as you guess they will not run alone, so we will need new employees to train. New Year – new luck we say here, I hope things will go back from crazy to normal mode in January! Some words about the machines SM471 is the Samsung fastest and greatest from SM series. It has two heads with 10 nozzles each and dual rail conveyor which allow two different boards to be assembled at same time. With maximal performance 75000 csp (which you never reach on real boards). 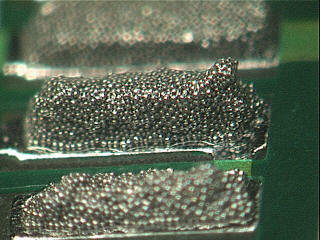 The machine can place down to 01005 components which are with size 0.4 x 0.2 mm (400 x 200 microns)! SM482 is flexible mounter which can place both small and big components, we already have one such machine and it performs very well. The listed maximal speed is 28000 cps. Each SM482 machine comes with full set of 8, 12, 16, 24, 32 mm feeders and tray changer which can hold up to 80 trays with components. Both SM471 and SM482 support the new splice-less tape feeders which can be load even with component stripes without need to have initial empty cells on the tapes. May 28th in Olimex training building we will have our Help day. There we will discuss everything around electronics, but we want to add small twist to these meetings, so each time we make Help day we will add small focus theme with slide presentations and transfer some know how we have. This help day focus will be around SMT technology and production and specially one of it’s very important componets – the Solder paste. We will share things we learned during the last 25 years dealing with electronic design and production. 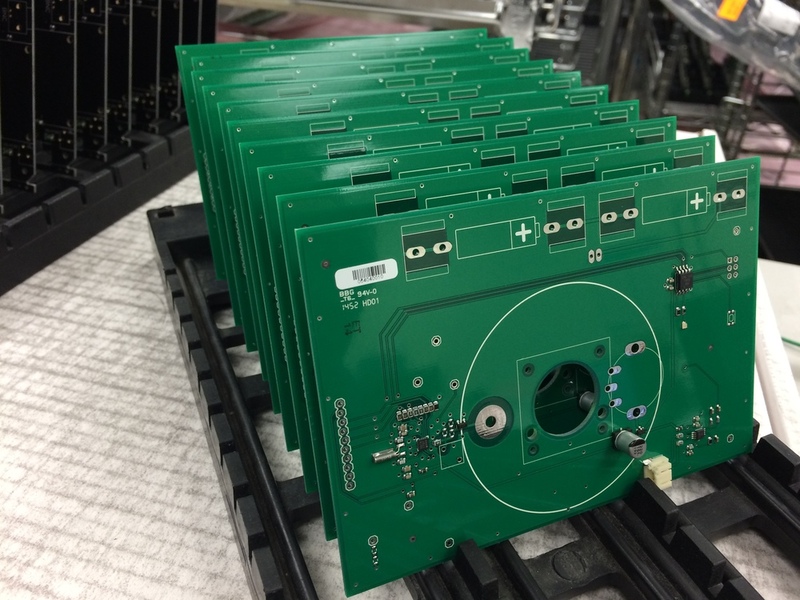 We deal with electronic boards design and assembly for more than 25 years. During this time we got lot of experience and passed through many technologies and equipment so we know the + and – in all these approaches to produce. In other hand most of the people who work in the SMT production area are not quite willing to share their knowledge, sure there is money behind the production, so everyone would love to “consult” you for a nice amount of money, in most of the cases you got nothing for your money or far less than you expected. We had to go through this path by our own and to learn how things work the hard way. Sure there are lot of internet resources and books about SMT manufacturing and troubleshooting, but at least in Bulgaria people who do PCB assembly do not like to share, as they think they will lost their advantage or will grow up competition. Once you learn things you see that this is not rocket science, but if you have to work on this road alone you can waste lot of time. Now we do our SMT equipment installation, service, calibration, maintenance by our own. In the rare cases we needed SMT equipment manufacturer-distributor-service advice on problems we had to wait months and usually they suggest replace with new this or that while later we found this was not the problem at all and not necessary. We believe that knowledge sharing is good, this rise the competence of the people around you with which you share, and you both can move forward faster instead to re-invent the wheel again and again. So here is our proposal: If you want to start your own SMT electronic board assembly and have questions on the technology or about machines you need to set your own production send us email describing what do you want, what is the type of boards you want to assembly, quantities and your rough budget and we can advise you if this is possible and eventually what equipment you will need to accomplish this. On our wiki there is dedicated page with more information. How 50 000 A10 SoCs from Allwinner looks like? A10 Cortex-A8 chip is the heart of A10-OLinuXino-LIME EUR 30 Linux Open Source Hardware computer. 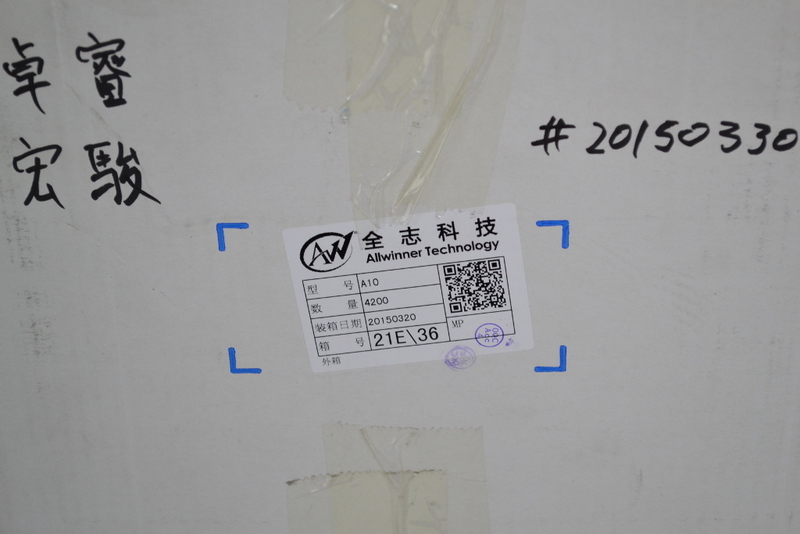 Allwinner start the production of A10 back in 2012 and at the end of 2014 decided to stop it’s production as none of the mass volume producers like tablet or Android IPTV dongle manufacturers wanted to continue to manufacture with it. For our type of business though – embedded applications it’s not good to change your design every couple of years, so we asked Allwinner if there is minium quantity of A10 which they will be able to run custom production for us and they said 50 000 pcs. 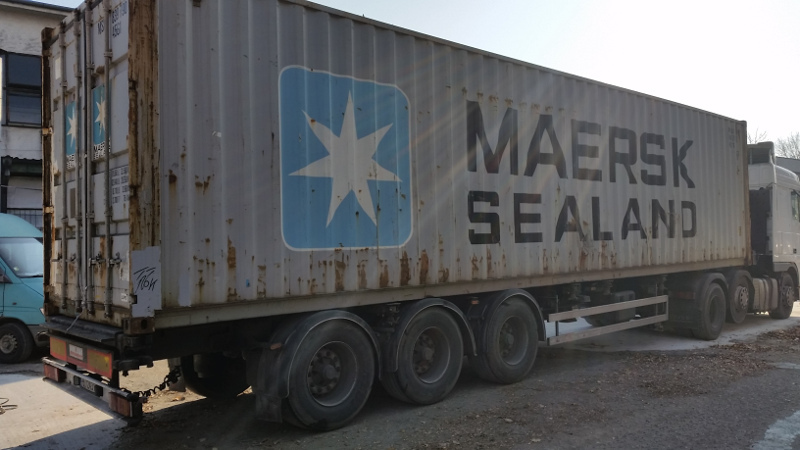 We placed our order in December 2014 and they shipped to us on 30 of March as we agreed. Now we have enough stock to keep producing A10-OLinuXino-LIME for a while, and if the stock is over we can make new order to Allwinner, this way we can keep the A10-OLinuXino-LIME production as long as there is demand for it. Elevate Festival and Open and Fair IT production, are we ready for it? Elevate is free event made by non-for profit organization for Political discourse, Music, Art and technology. The motto for Elevate is “Elevate – Open Everything”. Open Source fits well Elevate focus, as there were lectures for more Openness in everything around us. 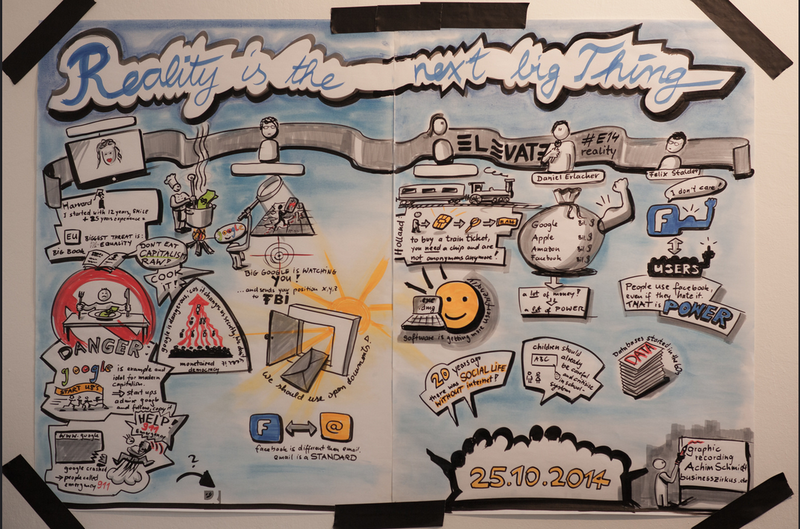 I was invited to participate in Elevate 2014 which was in October 2014 with lecture about Open Source Hardware. You can feel the atmosphere browsing the albums with pictures from the two days Saturday and Sunday. Video from the event is online. Or learn about attempt to manufacture computer mouse with ‘fair’ technology. By fair technology is understood technology which do not uses child labour, bad working environment and pay fair price for the labour. 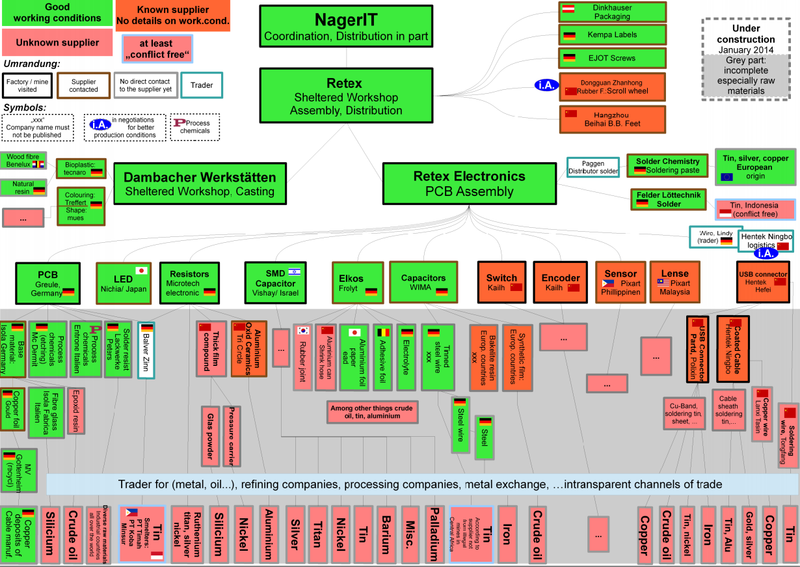 Above is picture which NagerIT made in attempt to check if they can manufacture total Fair mouse. The green blocks are companies which use Fair technology, the other colors are companies/suppliers under investigation with unknown info. This process is quite complex, for instance: if you use CABLE in your product to check the company which make cable and it’s supplier, in this case these are companies which make the plastic cable sleeve and the copper wire, then these new companies have to be check – the company which makes the plastic sleeve have suppliers for raw materials which came from oil industry and the company which makes the copper wire have supplier who make the copper and the supplier who make the copper wire laquer, then the company which rafine the copper ore, then the company which dig the ore. You can see what chain this is just for one component. Nevertless this is good initiative and we wish NagerIT good luck. It’s step in the right direction. 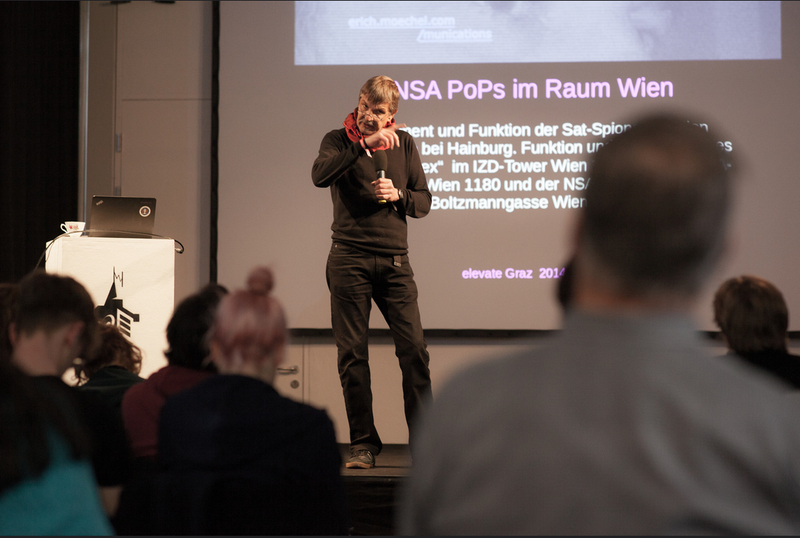 During the Elevate festival I got invitation to visit Graz Hackerspace named Realraum and speak about what we do in Olimex. Realraum is small and very well organized Hackerspace, where people run many interesting projects. You can read more in their wiki http://realraum.at/wiki/doku.php and G+ blog posts https://plus.google.com/+RealraumAt/posts. We met in Graz lot of friends of Open Source Hardware. Everything we check on A13-OLinuXino first prototypes works as expected as you can see from the previous post, but we still feel a little bit uncertain to run mass production of hardware which was tested just few days (sure these tests were quite long and intensive as you can see as evidence in this picture: Beer + Angry Birds at 2.56 AM 😀 ). The first 5 prototypes will be sent today to the selected developers so they can start hack them further. But for the mass production we decide to play safe and will run small pre-production run exclusively only for interested developers and hackers. We leave in vacation today but will try to make all PCB changes and run small batch of blank PCBs in China while we are in vacation. 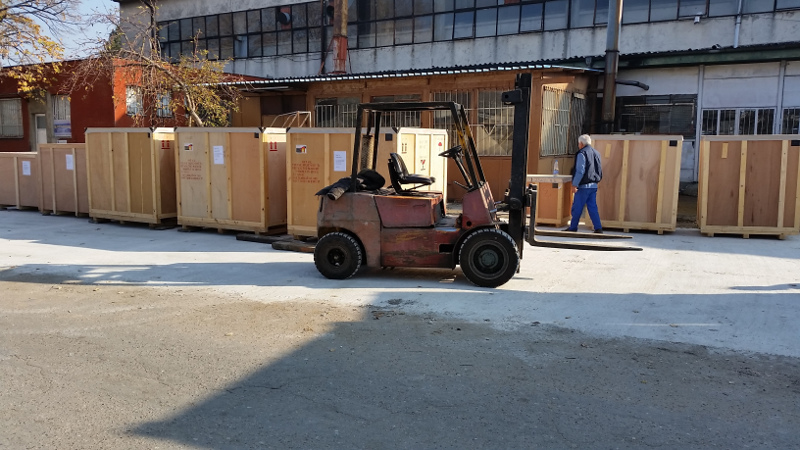 Our production department have just 2 weeks of vacation (as we have to fill our stock which was wiped out by our distributors before our vacation), so when they are back on August 20th we will start the pre-production run assembly and at same time will do extensive tests to see if something else could be changed. 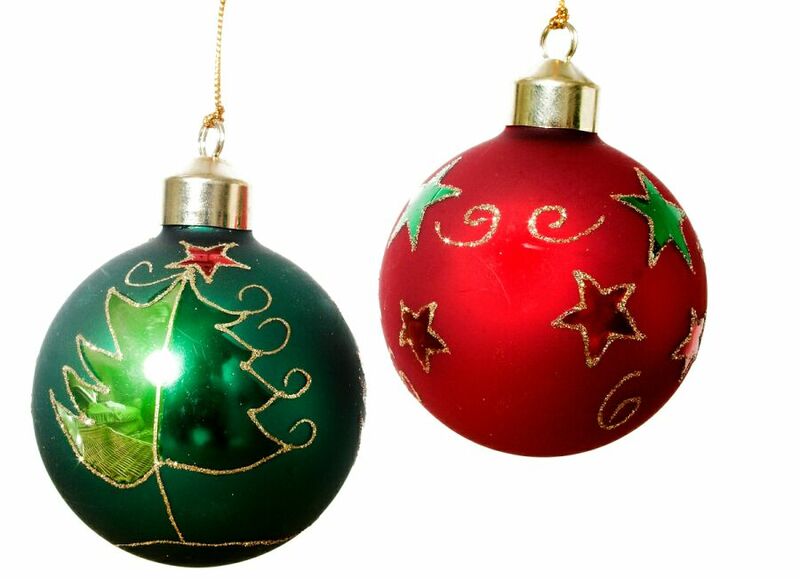 The pre-production run although run in small amount will be sold at same price as normal production i.e. EUR 55 for A13-OLinuXino board with WIFI and 4GB NAND on it. What we expect is if we forgot something around the I2C or SPI to may add or remove pullup or pulldown resistors or such, but not major problems with the schematic and layout. 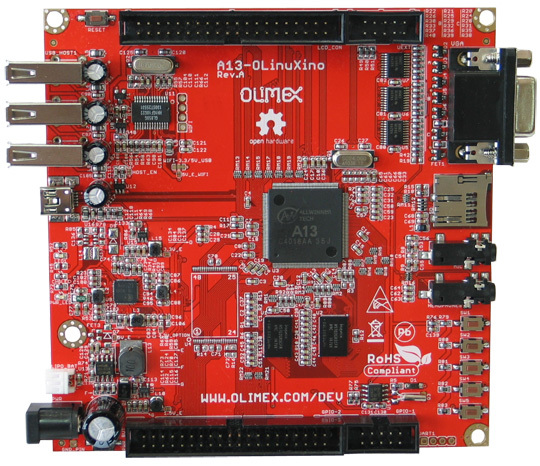 We will start shipping the pre-production run A13-OLinuXino about August 27th. We think the time between August 20 and September 1st will be enough to do extensive tests and run production on September 1st. On September 1st we will open our web shop for A13-OLinuXino pre-orders which will be start shipping about September 15th. We will talk to our Global Distributors – Mouser and Digikey, so probably you will be able to do your pre-order at September 1st by them too, just because of the shipping lag they may start shipping the order a week or two later than our webshop.